The updated Saskatoon neighbourhood profile for Stonebridge indicates it is now the most populous area in the city. Approximately 11,284 people now call Stonebridge home. That’s an increase of 4,000 residents in the past four years. The highest concentration of the population is between 20 to 40 years old. There are a total of 4,636 dwellings and of that 49 per cent are single family homes; multi-unit dwellings make up 42 per cent and two-unit dwellings round it out at 9 per cent. The average sale price of homes in the area is $414,591 with a median personal income of $51,190 annually. SGI tracks registrations by neighbourhoods, with 8,133 vehicles attributed to Stonebridge. What’s astonishing about the registration statistics is in all but two other Saskatoon neighbourhoods vehicles outnumber residents. If Stonebridge were a community of its own, it would be among the ten largest in the province outstripping Weyburn and Warman in population. The City has reported that Stonebridge has grown ten times faster than the rest of the municipality. With this many rooftops, I inevitably look to the retail possibilities that still exist in Stonebridge and what may be on the horizon. We know there was approximately 5.9 per cent retail vacancy in Stonebridge at the end of 2017. That is a bit higher than the citywide average of 4 per cent, but this is partially due to the new construction that was only recently completed on the throughways of Clarence and Preston. There was positive absorption for the area coming into 2018 and average asking prices are $31 per square foot net. With all retail zoned land sold to developers, the only further expansion of retail could potentially move down Melville Street into the CN Industrial area, just past the auto mall. Service providers and office users are also filling out vacancy in Stonebridge at a steady pace. 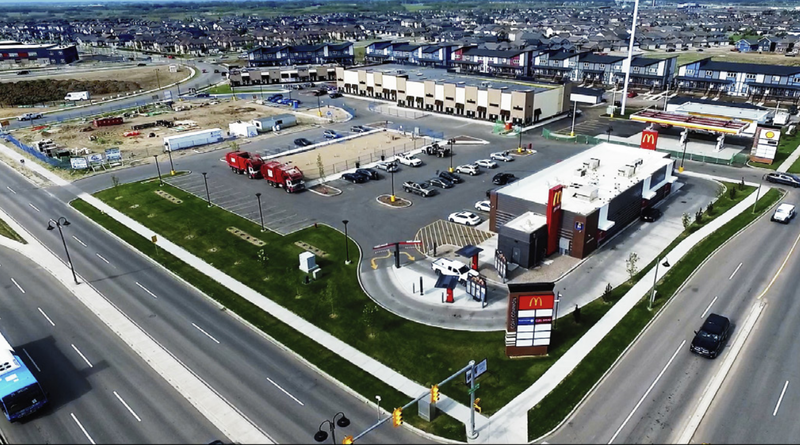 Retailers that established early in the neighbourhood are reaping the benefits but there is still room to get into this market’s new construction. So what are you waiting for?